Excessive heat and overcharging are thus the main reasons for shortened battery life. Heat causes battery fluid to evaporate, thus damaging the internal structure of the battery. A malfunctioning component in the charging system, usually the voltage regulator, allows too high a charging rate. That’s slow death for a battery. 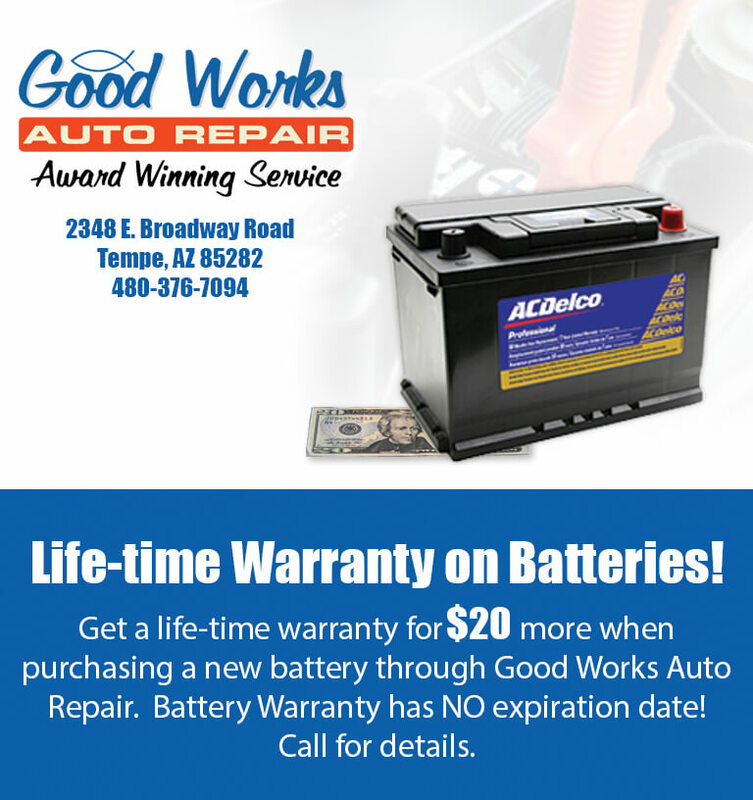 Good Works Auto Repair uses only quality AC Delco batteries. We recommend this service every two years.